What does the PR team do to drive awareness for Dallas Fan Days? At TrizCom, it simply means giving maximum effort. More hours. More research. More heart. As a young PR professional, joining this team allowed me to dive head first into managing a huge event. I learned how to pull a story idea from every angle . Whenever a business is in the news that is not an advertisement we call that earned media. Many times, people refer to this as free media vs. paid media. The word “free” is a misnomer as a earned media is not as free as we may think it is. Earned media requires significant manpower from start to finish. 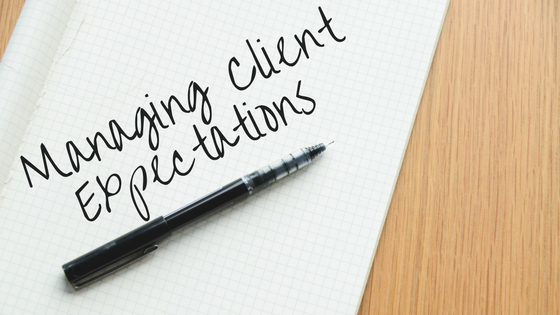 Managing expectations is a critical component of the agency-client relationship at TrizCom PR. We often begin a new business development meeting by simply asking why they are interested in a public relations campaign. Some have replied that they just want to see their name in the paper, but most are using it as a marketing tool to secure incremental business for their businesses. They believe—and are often proven correct—that earned media equals credibility in the marketplace. Another caveat we explain in exploratory meetings is that PR is a marathon, not a sprint. It can take months of careful planning, pitching and execution before a client begins to see worthwhile results. We also never guarantee anything. PR firms that promise instant stardom for a client shouldn’t be considered true partners. That being said, we will work our tails off to ensure success, we just don’t promise it from the outset. Our proof points are the client newsrooms we maintain on our website, showcasing earned media wins for each of our existing and former clients. If the image in their head doesn’t materialize into their version of reality, we encourage an extremely open and honest dialogue with clients. All PR plans are signed off on by clients before we begin campaigns. Each includes objectives, strategies, tactics and most important—how will success be judged by the client? If we can prove we’ve met that standard of success and they’re still not happy, then something changed. We find out what it is, adjust our plan accordingly and continue working. Events: At TrizCom PR, we love events – not only because they are fun but because they are parenthetical; they have a start and an end date, and events are measurable. For many of our events, the pre-promotion is more important for selling tickets than actual event attendance. However, if your event is a press conference, for example, press attendance is imperative. However, unless you are promoting a best-seller, crowd pleaser or limited offer, it is often difficult to get press coverage. Here is a good tip sheet from TrizCom PR for attracting media to your event. 1. Create a plan. Think four months out for long lead pitches, 4-6 weeks out, a week out, the day before and post event. 2. Know what the cool factor is – i.e., don’t bury the lead. Be as concise and precise as possible. 3. What is press worthy of this event? Find the news hook. Is someone newsworthy speaking/headlining? Will a newsworthy person be in attendance (elected officials are always a great primer)? 4. Know your audience and where they are. Also know your journalist’s audience. Remember, selling the journalist is just part one to event PR – they must sell it to their audience. The topic MUST be relevant to their audience. I would not encourage inviting a technology reporter to a Junior League luncheon – unless Sheryl Sandberg is a member of this Junior League and has confirmed her attendance. Don’t forget your trade publications. 5. Target influencers – identify top industry influencers and bloggers. 6. Have images and video. An online press kit with downloadable high-resolution photos, biographies, agendas, etc. is always preferred, but place this information on a jump drive and you are just as good. The object is to make the media’s job as easy as possible. 7. Can you tie your topic into a current event? We call this newsjacking. • If your association is holding a convention and there is a well-known speaker talking about insurance and the rise in premiums, pitch the reporter the speaker’s credentials and mention that he/she would be willing to talk on record about how the Affordable Care Act has impacted the xyzzy industry and their predictions for the future. • If you are hosting a medical conference and a leading M.D. is there to talk about a recent study but also has a new product to unveil, make sure you mention that. • If by chance you are hosting Fan Expo with Peter Mayhew (original Chewbacca from Star Wars), and a local woman who went viral for wearing a Kohl’s Chewbacca mask in her car has been personally invited to meet Mr. Mayhew – for the love of God, make sure the media is aware of this. • We represent a Boat Expo. Recently we tied in boat sales as an economic indicator for the economy. It worked. In fact, the economy topic is considered an evergreen trend. It will always sell. 8. Write a press release or a media advisory. An ‘if we build it they will come” mentality just doesn’t work if they don’t know anything about it. 9. Prepare your spokespeople with message points. Knowing why you want media there in the first place will help with what you want the journalist to write about (i.e., message). 10. Have a person assigned to media. Nothing is worse than inviting a journalist to an event and they aren’t on the list or they wander around with no direction. Have a point person for them to text if they need anything. 11. Make your own media. Photograph, video and Facebook Live at the event. At a few press conferences we have hosted, I was afraid breaking news would interfere with their attendance. I have hired a few photo journalists to mimic press and tape the event. The strategy works twofold – the audience and the client don’t realize they are not press, and secondly, you have great video to pitch post event. 12. If it is a party, allow them to bring a guest. • Why? Why should the journalist care about YOUR event? • Who? Who will be there? • How? How do they let you know they want to attend? • Your personal contact information including cell. 14. The final and most important factor - to get a journalist to cover your event is to simply invite them.